I recently jumped onto the lard band wagon and I saved a seat for you. I know what you’ve heard about lard. I heard the same warnings about high cholesterol and clogged arteries. In fact, I grew up listening to my dad blame his blocked arteries on the use of lard in every day cooking during his youth. 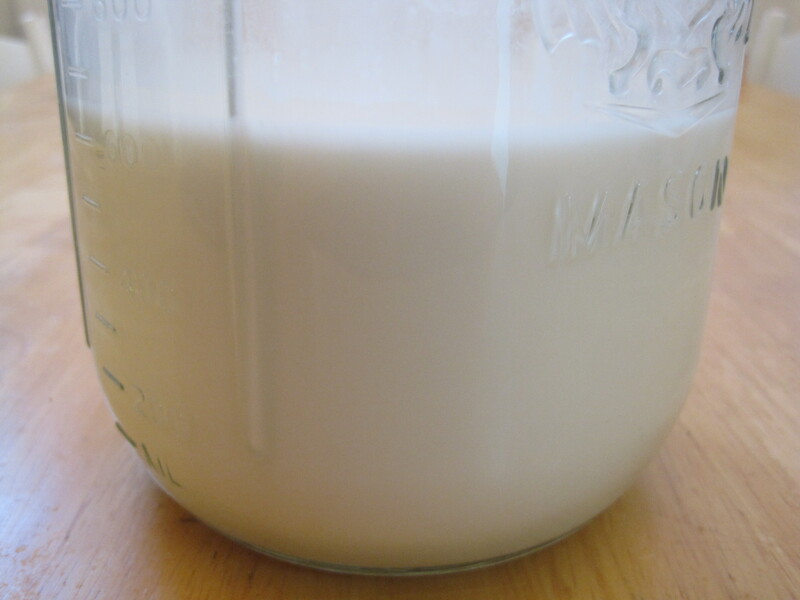 But the truth is that home rendered lard can actually be considered a healthy fat! (See here for more details.) It is better for you than butter and is a rich source of vitamin D. But I want to be very clear that only home rendered lard is good, and it’s best if the fat comes from naturally raised hogs. 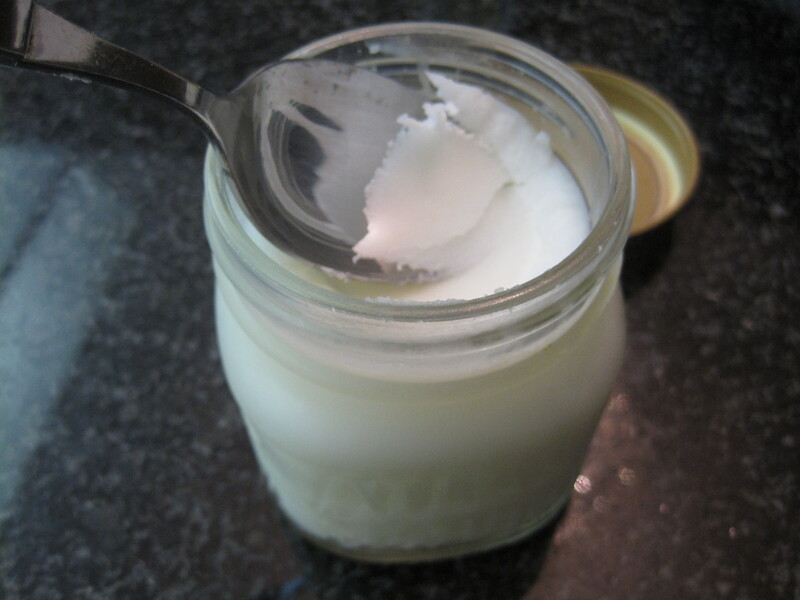 Processed store-bought lard, however, contains trans fats – the very bad fats – and preservatives. I am so glad that we’ve cleared up that misunderstanding, because lard makes everything taste better. For example, it’s perfect for deep frying foods, because it has a high smoke point. This allows your food to cook more quickly, meaning that your food will be crispy on the outside and moist on the inside, all the while absorbing less oil. Also, lard is necessary for making the best flaky pastries. You may be surprised to know that lard is one of the secrets to many delicious Asian dishes as well. Cooking your stir fried noodles in lard will result in an inimitable flavor and silky texture. When I saw fresh coconuts on sale at the grocery store, I was inspired to make pina coladas from scratch. I must admit that removing the white coconut flesh from the brown shell was labour intensive, but it was a fun challenge. My month long detox diet challenge has come to an end. (See the Day 1 post here, the Day 7 post here, and the Day 15 post here.) I must admit that I cheated whenever I traveled. Over Victoria Day long weekend when I went to see my family in Toronto, I ate restaurant food that had sugar in the sauce, some tofu, and more homemade dumplings than I could count. Last week, when I went to Montreal, I ate a small slice of banana bread and onion rings with dipping sauces. As of midnight, June 1st, 2011, I will be free to consume gluten, dairy, refined sugar, soy products, caffeine, and alcohol once again. When I first decided to do this, I thought that I would have the most difficulty giving up dairy. I also thought that I would crave bread. But to my surprise, I only had cravings for refined sugar (ie. dessert and baked goods). Luckily, the cravings subsided by week 3. Although this detox diet was slightly inconvenient in terms of meal preparation, and while it placed restrictions on my social life, it was easy to follow and, more importantly, it was effective at improving my general health. (See below for the health benefits that I saw.) I’m also happy that I used this opportunity to learn about new ingredients and try new recipes. Now that I’ve had a glimpse of the difficulties that people with food intolerance face daily, future guests of mine can expect delicious meals that will honour their dietary restrictions without compromising on flavour, texture, or creativity. Normally, I’m a regular consumer of cow’s milk and Chinese soy milk drinks. But challenging myself with a month long detox diet (see post here) led me to explore non-dairy (casein free) and non-soy milks. The options include coconut milk, almond milk, rice milk, and hemp milk. I also heard of a potato based milk alternative, DariFree by Vance’s Foods that comes in a powder. 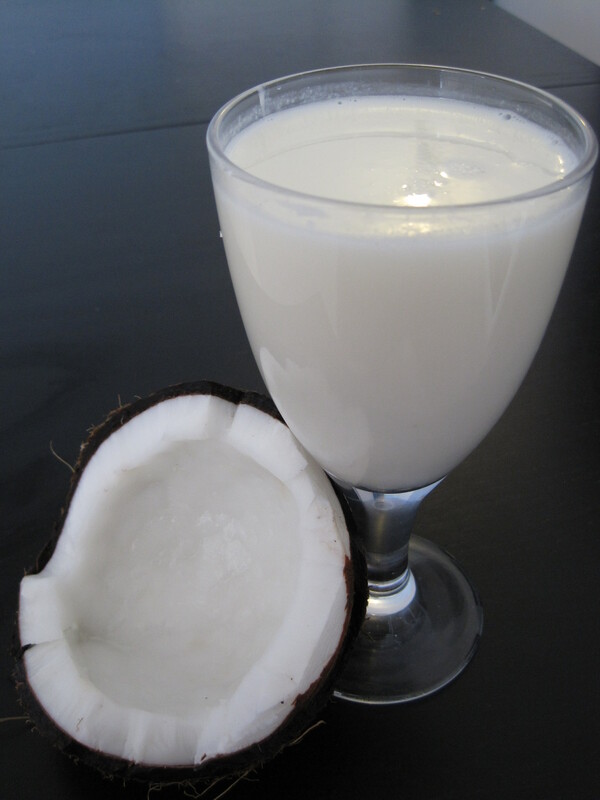 I don’t like the taste of fresh coconut juice and coconut milk is too rich (for my tastes) for drinking, so this post will focus on a comparison between almond, rice, and hemp milk. Also, see below for homemade rice milk instructions and a very simple and versatile almond milk recipe with flavour variations. I have now been off gluten, dairy, refined sugar, soy, caffeine and alcohol for 14 days. (See the Day 1 post here and the Day 7 post here. See the last post here.) I will likely be off legumes for the remainder of the month too, because I am now sick of them. 😉 Although I still feel like I have a lot of options despite the restrictions, I’m starting to miss having the option of eating out. It is limiting my social activities, but I’ve been keeping busy with other things. The food cravings this past week were once again directed towards sweets but were minimal and very easily managed. In fact, I made carrot muffins with cream cheese frosting for a friend’s birthday and resisted from eating any of them! The recipe can be found here and no one will be able to tell that they’re made with whole wheat flour. So far, I am still very happy that I took on this detox challenge. I hope to see more health benefits soon. My current housemate is a naturopathic doctor and we’ve had interesting discussions about food, nutrition, and various diet regimens. I was surprised to learn from her that dairy is a contributor to many health ailments. Two other foods that can worsen conditions or cause people to generally feel unwell are gluten and refined sugar. I have been looking for a new food challenge, and since I almost always feel fatigued, my housemate inspired me to try a detox diet for one month. Although there are detox powders and pills available on the market, I believe that avoiding the “bad” foods is more beneficial to your health than consuming a lot of [unproven] supplements, assuming you’re regularly on a balanced diet. In fact, a Chinese medicine-practicing doctor cured me of my Grave’s disease (an autoimmune thyroid condition) simply by giving me an extensive list of dietary restrictions. I adhered to her list strictly for almost 2 years and have been off medication for longer. So I’ve chosen to follow a basic and simple detox diet for this challenge (see rules below). If you’re interested in doing something like this, I recommend speaking to a health care professional to find a safe detox diet that will suit your lifestyle and health concerns. Tamarind is a pod-like fruit that is used in Southeast Asian and Indian cooking. It is also available candied. It has a hard, dry, light brown exterior and several hard seeds. The flesh is reddish brown in colour, slightly chewy in texture, and unique and tart in flavour. If you’re not familiar with tamarind, you might be surprised to learn that it is an ingredient in Worcestershire and HP steak sauce. On a side note, I like tamarind, but I dislike those sauces. If you’re starting with fresh tamarind, discard the shell, the seeds, and the fibrous thread that runs along the outside of the flesh. Otherwise, tamarind can be purchased in other forms. There doesn’t seem to be a consistent use of terms that distinguish between those options. So depending on the source, it can be very confusing as to what a recipe actually calls for. Here is my general understanding: Wet tamarind or tamarind block is shown on the right side of the photo above. This is often simply labeled as “tamarind”. I have even seen this referred to as tamarind “paste”. But in general, tamarind paste, tamarind juice, and tamarind water usually refer to tamarind that has been prepared for cooking. To add further confusion, the term tamarind pulp has been used to describe both the flesh of tamarind (wet tamarind / tamarind block) and, contrarily, the parts of the tamarind that do not “dissolve” or mix with water. Update: This photo was published in TAPS The Beer Magazine in the November/December 2012 issue! 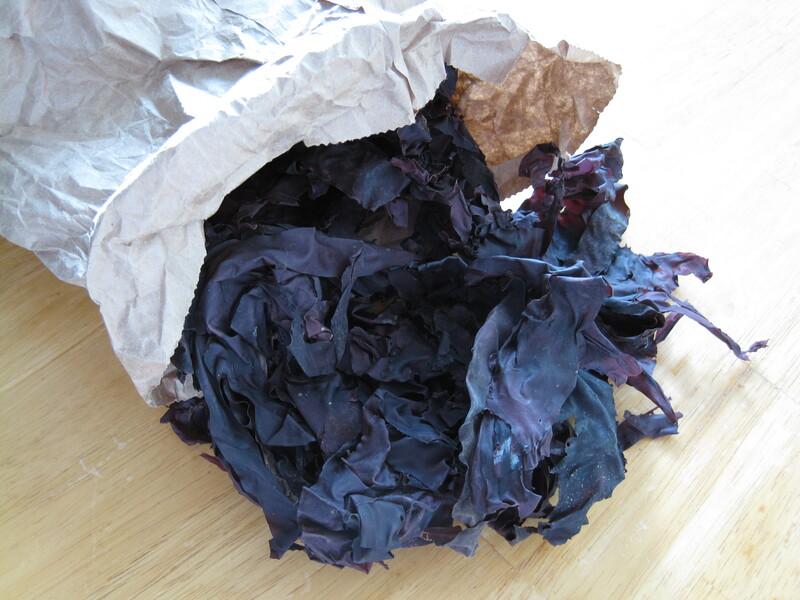 I had never heard of dulse until I started making travel plans to the east coast of Canada. So when we were in Halifax, Nova Scotia, Krystal and I went looking for this and were lucky enough to find it at the City Market. We purchased a bag of hand picked, sun dried dulse and brought it back to Ontario. I wanted to share what I’ve learned as this might be of interest [in particular] to vegetarians, vegans, gardening enthusiasts and people who have anemia or hypothyroidism. Note: If you have hyperthyroidism, however, it may not be appropriate for you to consume dulse. Ed and I agreed to place a small budget on our Christmas presents this year, so I decided to be creative with a DIY (do it yourself) craft project. I thought that an advent calender would be the best way to stretch out the value of a low budget gift. I also loved the idea of surprising him every day for about a month. I’m a beginner with the sewing machine so it took me 3 nights to complete this project. 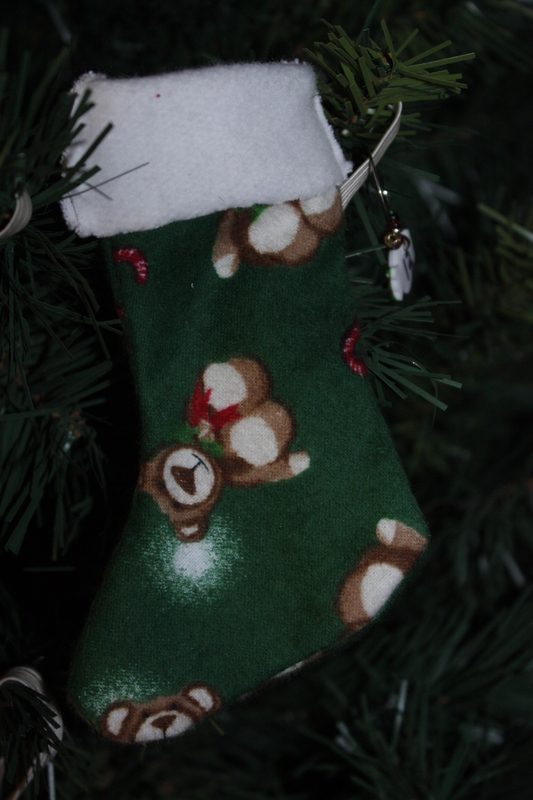 I sewed 24 mini stockings for him to hang on his Christmas tree (see sewing instructions below) and I filled each one with a small gift. 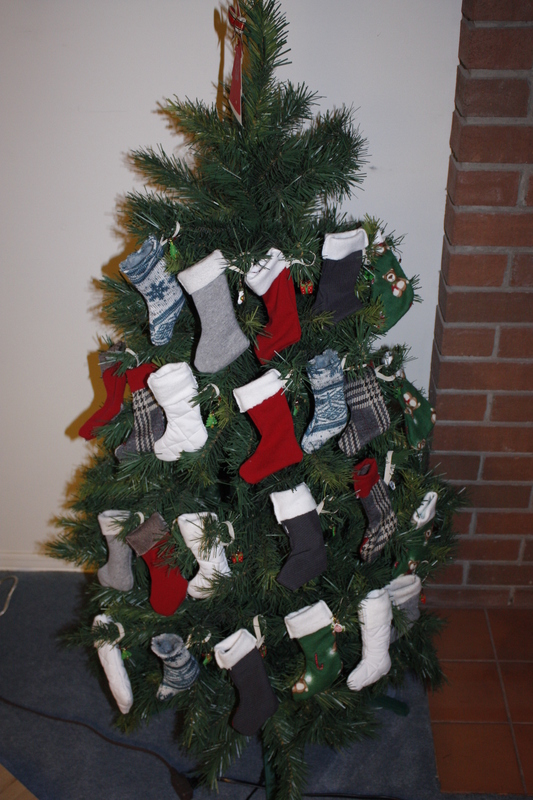 I chose to make my stockings using different colours and patterns, but you could make them all the same if you prefer. I found Christmas themed wine charms at the dollar store, wrote the numbers on the back of them (1 to 24) and attached them to the corresponding stockings, so he would know what order to open them in. 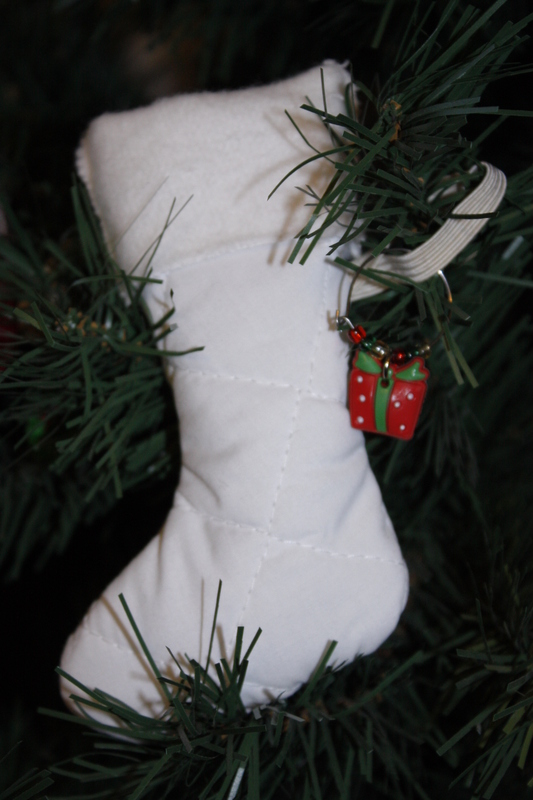 The great thing about these miniature stockings is that they can be reused as ornaments, gift card holders, small gift bags, or cutlery/flatware holders when entertaining (see here). In fact, Crate and Barrel sold knitted stocking flatware holders one season.